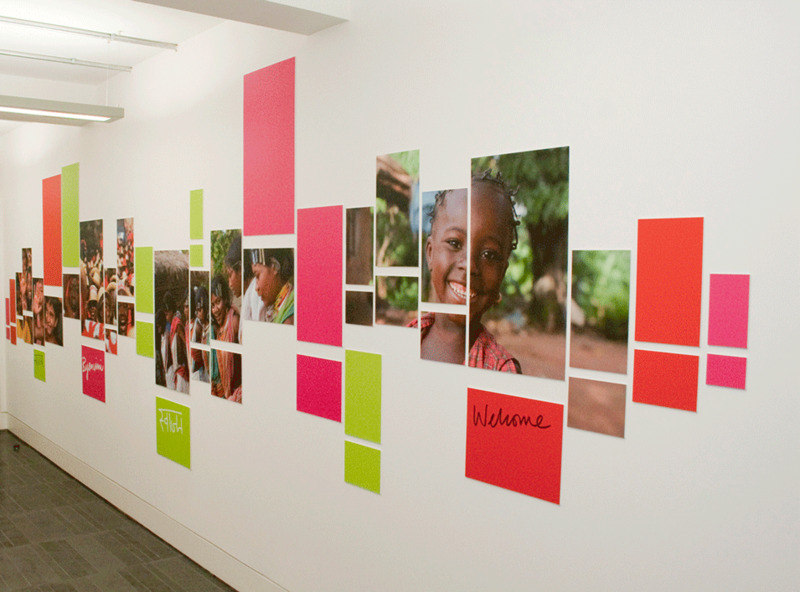 Integrated orientation signage for ActionAid�s new headquarters in London. 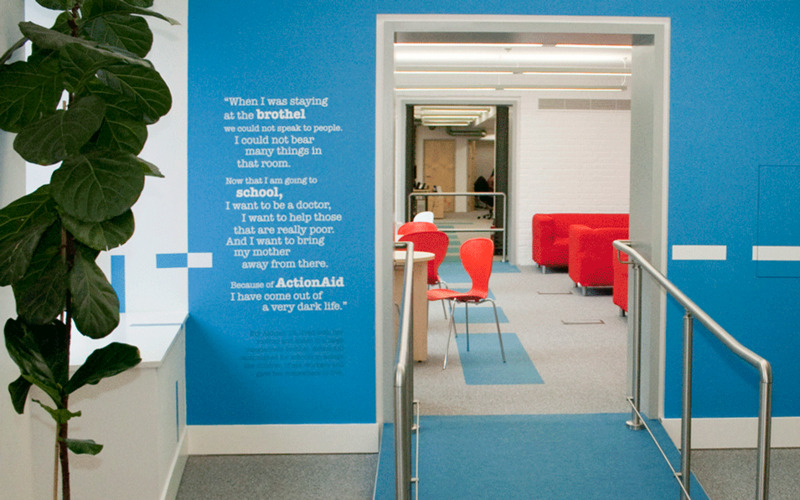 Reflecting the charity�s brand identity we used colour coding and simple graphic elements applied directly to the fabric of this new office interior. 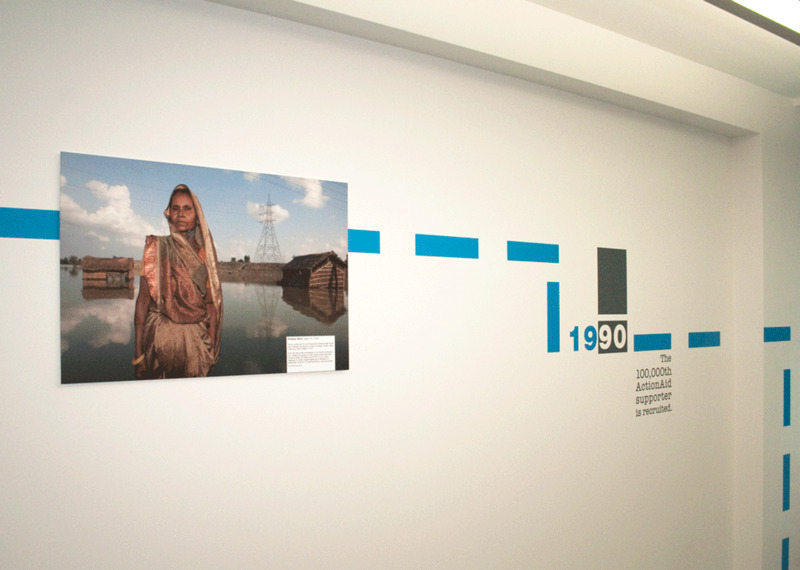 A graphic timeline that pops up in different parts of the building telling the many stories of the charity�s worldwide activities.